I could have sworn the main restaurants in Munnar town were easier to find. We walked around the main city loop twice and just could not find either of the two restaurants in town that I wanted to eat at. 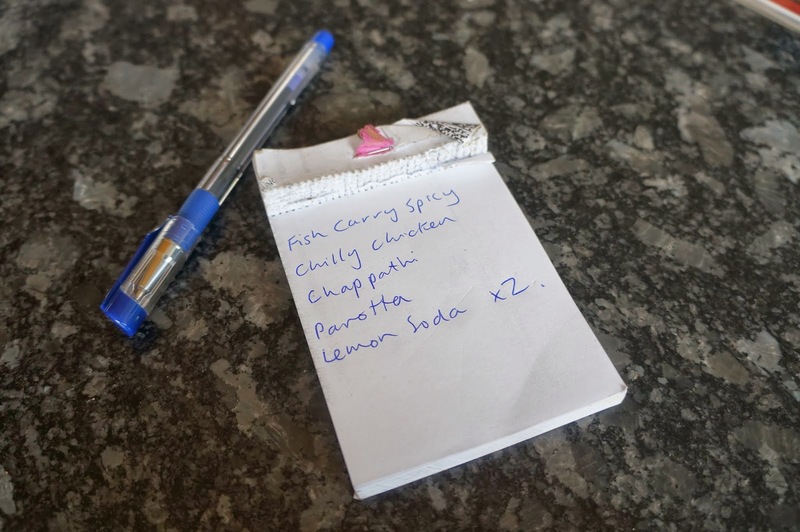 By this stage of the trip, we'd entered the more relaxed portion of our holiday and my book of notes had become less necessary than it had been in Hong Kong and Mumbai. However, we needed the book now to help locate the elusive restaurants and I'd foolishly left them at the hotel. I was not going back down that pothole-ridden road just for the book so we had to just keep an eye out and hope for the best. 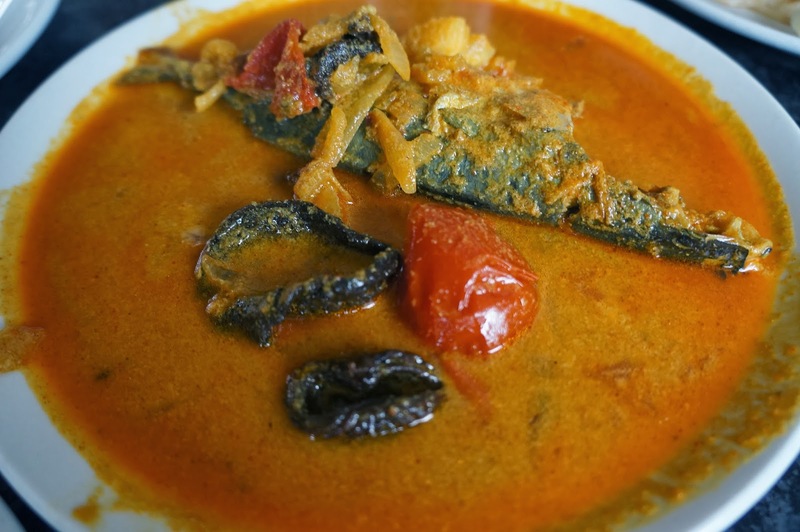 If you're in the south and in particular Kerala, you have to have some fish curry. The curry itself was very good – having that sourness I associate with southern fish curry, but not overpoweringly so. Being a whole fish, I found the bones cumbersome, though I know this is the usual fare for this style. 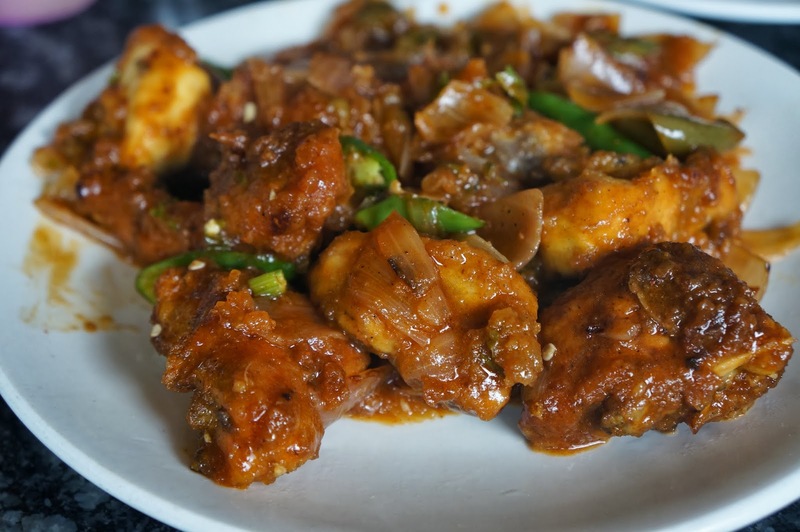 At the end of the day I'm hard to please when it comes to fish curries of the south as I much prefer the richer, creamier chicken and lamb curries of the north but I ended up eating this dish the most. Very enjoyable. The other dish we ordered was the Chilli Chicken. This was done in a similar Chinese-inspired style to the squid at Trishna and was very tasty. Alissa liked this dish in particular and as I was happy with the fish curry I left this mostly for her to eat. Alissa ordered chappathi at first, but when she saw the parotta I had ordered was basically roti paratha we ordered additional parotta to eat with our meal. 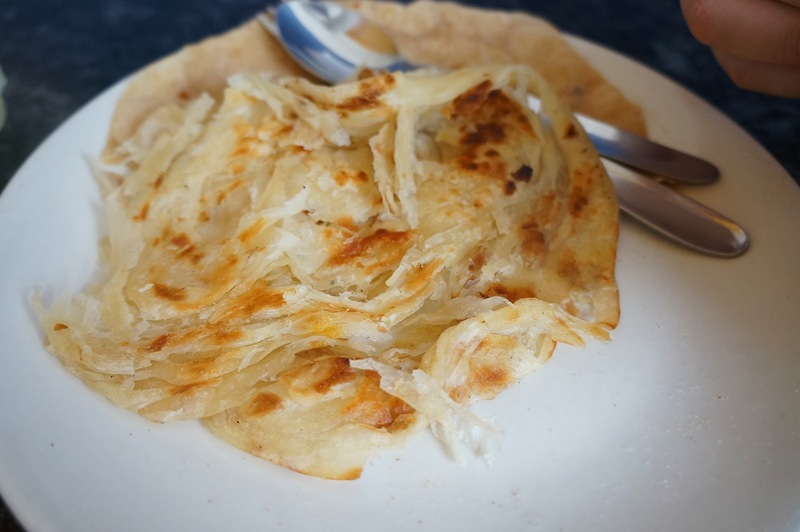 The parotta was nice and layered in a way that is perfectly suited to the runnier consistency of southern curry, although a little crispier would have been nice. In a town like Munnar you're not not likely to find a high end restaurant like Indigo or Dum Pukht, or something a bit more casual but mindblowing like a Trishna. 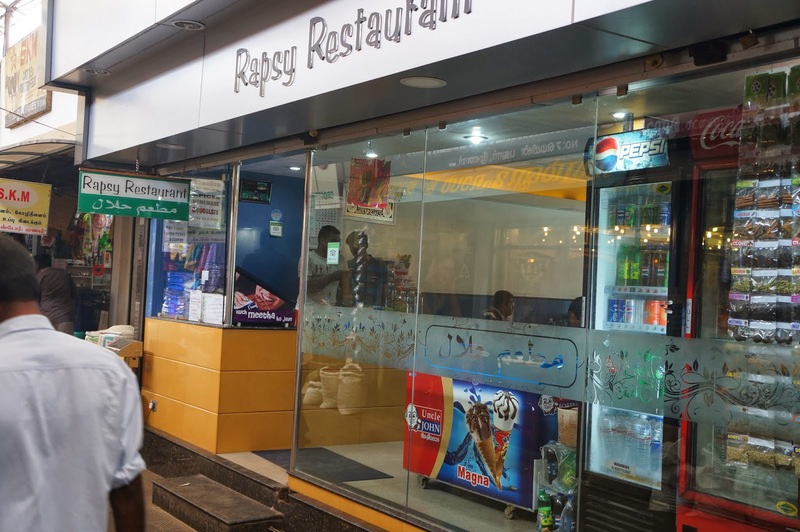 However, if you're looking for authentic South Indian food Rapsy is a very strong recommendation. I should also say that at roughly $5AUD for the two of us Rapsy is easily the cheapest meal complete meal we had in India, and that was with pretty free-flowing parotta as well. Considering we paid three times the price for the terrible service and stingy portions at Copper Castle, we would have rather eaten at Rapsy for a second time. Excellent value. I really like this food.Thanks for sharing with us great blog. You are welcome. Rapsy's food was very delicious.